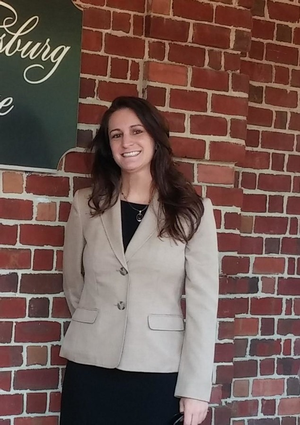 Katherine French : Cornerstone Financial Services Inc.
We have added another Hampton Roads native to the team – Katherine is born and raised in Virginia Beach with a large military family. Katherine began her academics as a cross-country athlete at East Carolina University and completed her bachelor’s degree at Regent University in Communication studies. She obtained a Master’s in Higher Education in 2015 from Old Dominion University alongside study abroad opportunities throughout Europe and Asia. Katherine comes to us from academia having worked in Enrollment Management & University Advising for the last 12 years. Customer service is Katherine’s passion and she brings technical knowledge and organizational prowess to the office. Depending upon the season, Katherine can be found at the beach, jogging in the park or cheering on her favorite football team. When not in the office she is always accompanied by her rescue dog, Camille.